A two-hour design sprint during a workshop with Allan Wexler Studio. The prompt: to make a "vessel to convey water, to make the water taste different without changing the water." My response tests the communication skills and patience between its two users, raising the stakes and heightening suspense by eliminating the element of sight. Dating back to 18,000BCE, and found in civilizations around the world, the bullroarer has often been used in exclusive rituals, with only certain members of the community being allowed to play—or, in some cases, even listen to—its peculiar, droning sound. Breaking with this exclusionary heritage, The Affirmation Engine is designed to be played cooperatively by two people, each person holding one end of the copper rod. 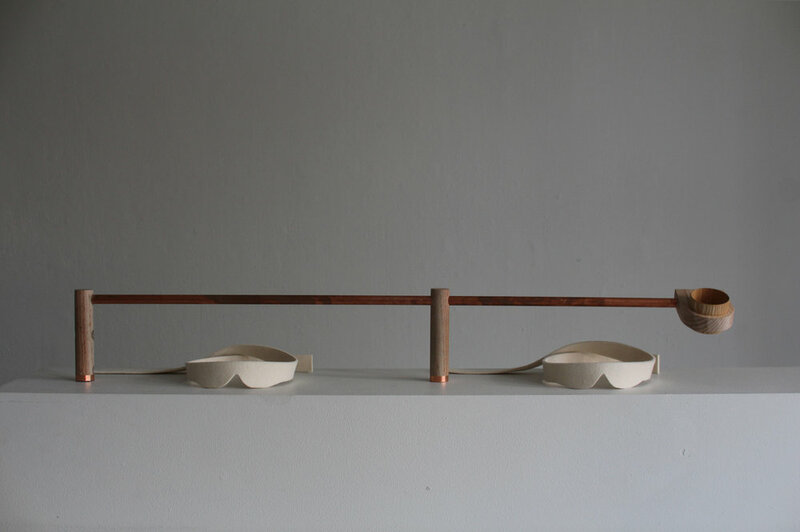 With a little coordination, the Engine can be swung around and around the copper rod to produce music. The instrument can be tuned by adjusting the position of the two rectangle spreaders along the shafts. The Affirmation Engine is most effective when the two users, having established a stable rhythm, take turns shouting positive character traits and accomplishments (affirmations) of the other, while continuously playing the Engine. A weekly event in each department at Cranbrook, critique is loaded with expectation and emotion. Drawing on in-depth interviews with classmates, The Potato Game highlights, exacerbates, and mediates both constructive and destructive crit dynamics. The potato functions as a conversation moderator, marrying the classic game of "hot potato" with the function of a talking stick. "I knew that women experienced this stuff, but never imagined how it felt—until today." 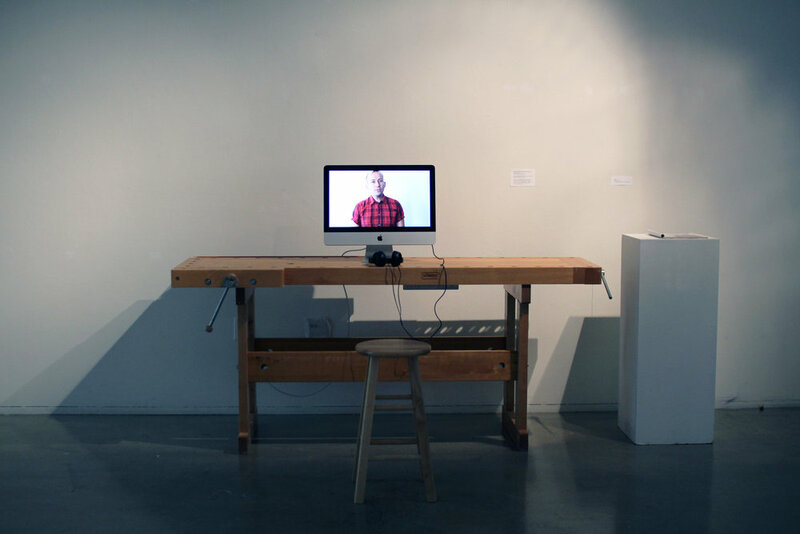 This installation places the viewer directly in the space of a female woodworker making their way in a male-dominated field. The book mark points at the single image of a woman in the October 2017 issue of Fine Woodworking, which "for over 40 years...has been the essential resource for anyone who desires to create beautiful furniture from wood."